Extremely sad story to share. Condolences to her bandmates and family. 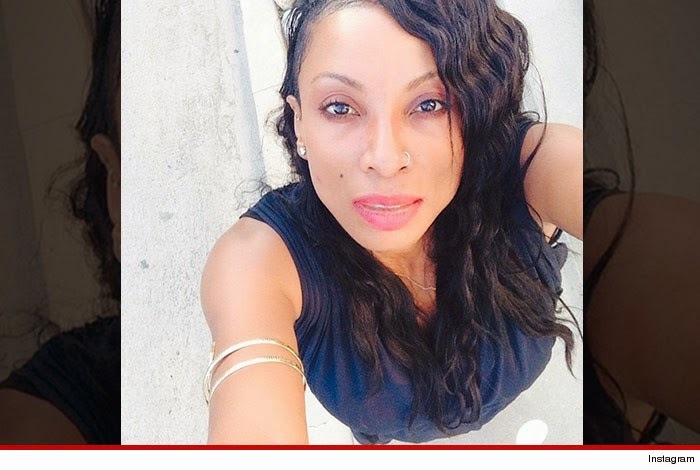 Charmayne Maxwell -- part of the 90s R&B group Brownstone -- died Friday night in L.A. after her husband found her bleeding from a cut to her neck ... TMZ has learned. A family member tells us Charmayne had come home from her son's soccer game, and was home alone with him. Later in the evening ... around 9 PM her husband, music producer Carsten Soulshock, came home and found her unconscious and bleeding. We're told it looked like Charmayne had fallen and cut her neck on glass ... she was bleeding profusely, but still had a pulse. Carsten called 911, and paramedics transported her to Cedars Sinai Hospital ... but she had lost too much blood. We're told she died on the way to the hospital. LAPD went to the home ... and tell us it was a broken wine glass that cut Charmayne's neck. Detectives do not suspect foul play. The group -- which was on Michael Jackson's MJJ Music label -- had its biggest hit with 1995's "If You Love Me." They earned a Billboard Music Award and a Grammy nomination for the song.